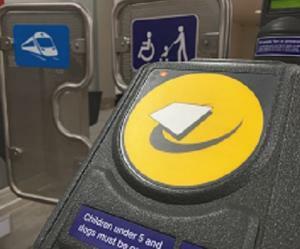 Open-Loop Payments to Launch on London’s Airport Train Service with Calls for Further Expansion | NFC Times – Near Field Communication and all contactless technology. London's Heathrow Express airport line will begin accepting contactless open-loop payments next week, as the UK continues to expand use of the technology. The expansion of open-loop comes amid calls by some British government officials to expand the payments service to rail throughout the country. The Heathrow Express, which is owned by Heathrow Airport, announced earlier this month that users starting Feb. 19 will be able to pay with their contactless American Express cards and Visa- and Mastercard-branded debit and credit cards or these card credentials on NFC devices at the gate for the airport line, which runs between London Paddington station and Heathrow Airport. Around 17,000 customers use the line each day.